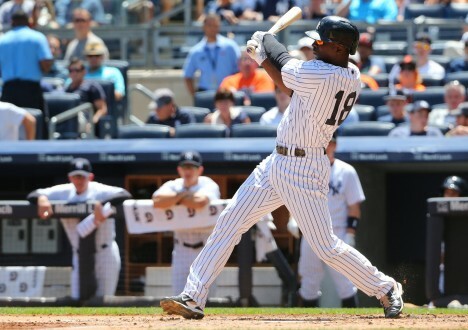 Yesterday, our Alex Putterman looked at the progress Didi Gregorius has made in hitting to all fields. It’s a big part of Gregorius’ newfound offensive relevance that Gregorius is enjoying. He’s also looked much steadier in the field of late and generally looks like someone who can man the shortstop position for a while to come. There was some concern that the Yankees had given up a valuable asset in Shane Greene when they traded for Gregorius, and that the Diamondbacks were fools to take on Robby Ray, who had been disastrous up to that point. Had the Tigers made out like bandits? Not exactly. Below, we’ll look at all the pieces involved in the Gregorius trade and see how they’re faring in their new organizations. Gregorius has put together 1.4 WARP thus far, but that total doesn’t totally reflect the progress he’s made overall. His start to the season was so ghastly that his totals have been dragged down to hide just how good he’s been recently. In the second half, Gregorius has hit .341/.371/.462 while displaying more confidence in the field. A series of dazzling plays in the recently concluded three-game set put the cherry on top of his dramatic turnaround, and this is the first time in a while that Yankees fans have witnessed plus defense at shortstop in quite some time. He’s under contract through 2020 and is currently making the league minimum. He’s not a world-beater by any stretch of the imagination and his torrid hitting will likely regress, but Gregorius is a nice cheap asset for the Yankees to hang onto for years to come. It will be interesting to see how the organization reacts if Jorge Mateo starts beating the door down in 2017. Would they move one of the two to second base, or flip Didi? Time will tell. Oh boy. We all remember how fun it was when Shane Greene hit the big leagues last year. He pitched to a 3.78 ERA in 78.2 innings, and the peripheral stats all seemed to back up what he was doing. Greene had been a nearly completely unheralded prospect, and he had suddenly arrived and thrived at the highest level. He looked like a valuable cheap asset going forward. So when he was traded to Detroit in the Didi trade, it seemed like the Yankees were willingly creating even more question marks in their motley starting rotation. Hindsight is 20/20, of course, because Greene has been atrocious. A 2014 strikeout rate of 23.5 percent has morphed into a less-than-ideal 13.4 percent. His 6.88 ERA, brought on largely by a 1.55 WHIP, has earned him the title of staff ace of the Toledo Mud Hens. It’s possible that the new pitching instruction he’s receiving in the Detroit organization is hindering him, or Larry Rothschild was just very good at keeping him in line. Basically, though, the Yankees may as well have gotten Gregorius for free. Ray was nearly as bad as Greene is now in 2014 for Detroit. He was the centerpiece of the mind-numbingly strange Doug Fister trade, and proved to be nearly useless for the Tigers. An 8.16 ERA in the big leagues set off alarm bells, to say the least, and he only managed a 4.22 ERA in Triple-A. That made it easy for Detroit to part with Ray and send him to Arizona. However, in 77.2 innings in the desert, Ray is actually pitching well for the Diamondbacks. He’s throwing harder, striking more batters out, giving up far fewer home runs, and generally looking like a useful piece. The Tigers sure could use this version of Robbie Ray to soak up innings for them instead of Alfredo Simon, who was acquired from the Reds for Eugenio Suarez. Ray is now one of a gaggle of young starters in the Diamondbacks’ possession, and looks like a better long term option than pitchers like Rubby de la Rosa. Leyba is a minor league infielder who can play both shortstop and second base. In their midseason prospect update, MLB.com ranked him as Arizona’s 8th best prospect. He isn’t posting strong hitting numbers in High-A ball, but scouts believe that he’ll be able to hit for average in the future. At just 19 years old, he’s got plenty of time to develop and put on more muscle. The jury will likely be out on Leyba for a few more years, but the Diamondbacks seem to have gotten a live one from the Tigers. In short, the Yankees made out like bandits in this deal, while the Tigers may have actually come away with a negative net value gained. Shane Greene could still turn things around in his new organization, but Brian Cashman has to feel happy about this particular trade. Do the 2015 Yankees Have a Future Hall of Famer?